Dr. Huang is Professor of Medicine and founding Director of the Center for Chronic Disease Research and Policy. He is also Associate Director of the Chicago Center for Diabetes Translation Research at the University of Chicago. From 2010-2011, he served as a Senior Advisor in the Office of the Assistant Secretary for Planning and Evaluation, Department of Health and Human Services. Dr. Huang is a general internist who studies clinical and health care policy issues at the intersection of diabetes, aging, and health economics. His main research focus is in the area of medical decision making for elderly patients with type 2 diabetes where uncertainty exists regarding how to best individualize diabetes treatments based on clinical parameters and patient preferences. His prior and ongoing research has influenced care recommendations for older patients with diabetes. Apart from his work in geriatric diabetes, Dr. Huang has also performed other seminal translational diabetes research in the area of cost-effectiveness analysis. In 2008, Dr. Huang led a widely cited study that forecasted the growth in the diabetes population and related health care costs over the next 25 years. He has also led economic evaluations of community-based diabetes initiatives, clinic quality improvement programs, new diabetes technologies (continuous glucose monitoring), and the application of basic scientific discoveries (genetic testing). Dr. Huang’s research has been supported by the National Institutes of Health, the Centers for Disease Control and Prevention, the American Diabetes Association, and the Juvenile Diabetes Research Foundation. He has received numerous honors including the Research Paper of the Year Award from the Society of General Internal Medicine and elected membership to the American Society for Clinical Investigation. Dr. Huang serves on the Midwest Comparative Effectiveness Public Advisory Council of the Institute for Clinical and Economic Review. He previously served as Policy Chair for the Society for Medical Decision Making and as Chair for Health Care Delivery/Economics for the Scientific Sessions Meeting Planning Committee of the American Diabetes Association. 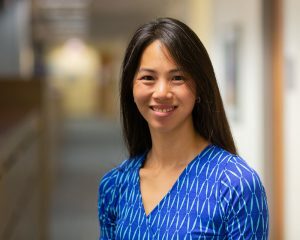 Dr. Laiteerapong is the Associate Director of Clinical Outcomes for the Center for Chronic Disease Research and Policy. She is also the Enrichment Director for the Chicago Center for Diabetes Translation Research and the Director of Primary Care Behavioral Health Integration at the University of Chicago. Dr. Laiteerapong is a practicing general internist and health services and outcomes researcher. She is committed to improving outcomes for patients with chronic diseases by ensuring that they receive care that is personalized, timely, and addresses both physical and mental health. Her research is motivated by healthcare system-level barriers that have arisen from patients she cares for, many of whom have chronic diseases. She initiated and leads a multi-stakeholder team focused on integrating behavioral health care into primary care at the adult general internal medicine clinic at the University of Chicago. Dr. Laiteerapong is keenly interested in the role health policy and clinical guidelines play in the care of patients with chronic diseases. Using an economic model that simulates the lifetime outcomes of individual patients with Type 2 diabetes, she has assessed how delays in blood pressure control affect outcomes and the cost-effectiveness of different models for selecting glycemic goals. 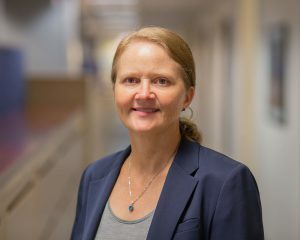 In her pursuit of understanding the natural history of modern diabetes, she has produced foundational work on the natural history of glycemic control in real-world patients, elucidated the magnitude and duration of glycemic legacy effect, and provided early evidence of the potential influence of knowledge about the glycemic legacy effect on patient decision-making. 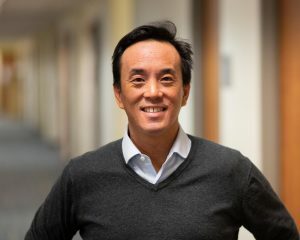 Dr. Laiteerapong’s research has been supported by the National Institutes of Health, the Agency for Healthcare Research and Quality, and the American Diabetes Association. R. Tamara Konetzka, PhD, is Professor of Health Services Research at The University of Chicago, Department of Public Health Sciences, with a secondary appointment in the Department of Medicine, Section of Geriatrics and Palliative Care. In January 2018 she joined the Center for Chronic Disease Research and Policy as Associate Director for Health Policy. Professor Konetzka conducts research in health economics, aging and long-term care, quality of care, hospital markets, and Medicare and Medicaid policy, focusing on the relationship between economic incentives and quality of care. Her research combines rigorous methodological training with extensive institutional knowledge of long-term care providers and policies acquired through previous experience in the industry. She has been the PI on 6 federally funded major research grants to study the financing and quality of long-term and post-acute care, several of them using mixed methods. Much of her research involves econometric analysis of large data sets including Medicare claims, Medicaid claims, nursing home MDS, and the Health and Retirement Study. Before joining the faculty at The University of Chicago, Dr. Konetzka completed a PhD in health economics at the University of North Carolina at Chapel Hill and a post-doctoral fellowship at The University of Pennsylvania and the Philadelphia VA. She currently serves on the editorial board of Health Services Research and is Editor in Chief Medical Care Research and Review. Rachel Jantke, PhD, joined the University of Chicago in July 2018 as the Administrative Director of the Center for Chronic Disease Research and Policy. She assists with providing strategic leadership for the center to expand the role of the center. Dr. Jantke’s primary responsibility is to develop, organize, and manage the University of Chicago Practice-Based Research Network (UC-PBRN) and its Advisory Committee. Previously, Dr. Jantke served the Chicago Department of Public Health as the Director of HIV Surveillance and the Principal Investigator of multiple CDC-funded projects. She was responsible for federal grant reporting, submission of grant applications, surveillance operations and work flows, a large Chicago HIV database (eHARS), and fiscal management of these multi-million dollar projects. Dr. Jantke brings many years of experience working in non-profit and research settings, including DePaul University and the Alzheimer’s Association. 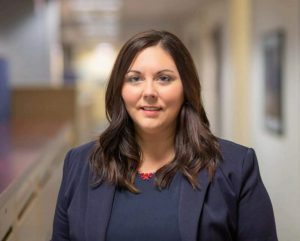 After completing her MA in Clinical Psychology, Dr. Jantke continued her education and earned a doctoral degree in Community Psychology at National Louis University. Dr. Jantke has co-authored several papers and has presented at regional and national conferences.